The Colour of Milk is a literary tour de force of power, class, and fate, told in the fierce, urgent voice of the irrepressible Mary, a character as indelible as The Color Purple's Celie and Margaret Atwood's eponymous Alias Grace. 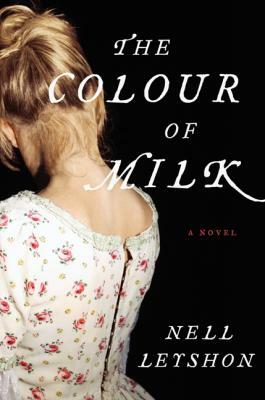 Set in England in 1830, The Colour of Milk by Nell Leyshon is an emotionally haunting work of historical fiction -- hailed as "charming, Bronte-esque...and hard to forget" (Marian Keyes) -- about an illiterate farm girl's emotional and intellectual awakening and its devastating consequences. Mary, the spirited youngest daughter of an angry, violent man, is sent to work for the local vicar and his invalid wife. Her strange new surroundings offer unsettling challenges, including the vicar's lecherous son and a manipulative fellow servant. But life in the vicarage also offers unexpected joys, as the curious young girl learns to read and write -- knowledge that will come at a tragic price. -Marian Keyes, bestselling author of Angels and Anybody Out There?